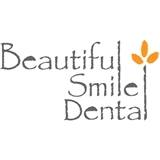 Beautiful Smile Dental (San Jose) - Book Appointment Online! Here, at Beautiful Smile Dental, located in San Jose, CA 95129, we specialize in beautifying smiles, maintaining your dental health, and helping you improve your appearance. Our featured services are Cosmetic Dentistry, Laser Dentistry, Zoom! Teeth Whitening, Invisalign,Veneers, Crowns & Bridges, Fillings, Dental Implants, and much more. The products we recommend and use are the highest quality and incredibly durable. You can trust your smile with us. Dr. Zags eh is very professional, caring and down to earth.